Parents are welcome to accompany their child into the treatment area during the initial examination. This gives you the opportunity to see our staff in action and allows Dr. Choice to discuss dental treatment. After the initial appointment, you may not find it necessary to come back and would like to wait in the reception area during their visit. However, your presence is always welcome. We ask that if you accompany your child, you assume the role of a silent observer, allowing Dr. Choice and her assistants to take the active role. A child may be confused if more than one person is speaking to them. We ask that siblings remain in the reception area, and that you bring an adult to supervise siblings while treatment is rendered. Research shows that children usually 6 and older typically do better without a parent being present. We request a legal guardian /parent be present for your child’s 1st visit. For future visits we require a notarized POA (Power of Attorney) if you are unable to be there. We can notarized in our Orlando office or you can take find the POA form on our website and take to have notarized. The office attempts to schedule an appointment at your convenience and when a time is available. Children ages 6 and under, are seen in the afternoon for cleanings and only in the morning for treatment appointments. This age group does better when they are well rested. We find their attention span is longer in the morning hours. We try to schedule school children in the afternoon unless they have a lot of work to be completed for the same reason. Dental appointments are an excused absence and we will provide you with a note for your appointment time. 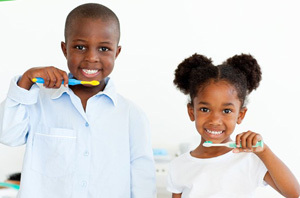 Missing school can be kept to a minimum when regular dental care is continued. Appointment times are reserved exclusively for each patient. We require that you notify the office 24 hours in advance, if you are unable to keep the appointment. As a courtesy, we will call and remind you. If you are more than 15 minutes late to your child’s appointment, we may need to reschedule. We will work them into the schedule if time permits. You may be charged or your child(ren) may be dismissed from the practice if you have more than TWO missed appointments. Payment for professional services is due at the time dental treatment is provided. The parent bringing the patient to the office is legally responsible for payment of all charges. We accept cash, most credit and debit cards. We do not accept postdated checks. If Kidz Choice accepts your insurance, we will file your insurance claim except deductibles and co-pays. Balances not paid by insurance will be billed to you and must be paid within 30 days. If we are not an in-network provider for your insurance, we ask that you pay up front and as a courtesy we will file a claim on your behalf. We are not responsible for how your insurance handles your claims or what benefits they will pay on a claim. Please remember that no insurance pays 100% of all fees. Deductibles and Copays must be considered. Benefits are not determined by our office. MOST IMPORTANTLY, please keep us informed of any insurance changes such as policy holders name, insurance company address, or change of employment. Our office will make every effort to stay on schedule. However emergencies may occur or happen. We, as a staff, will keep you informed. We will explain the results of your child’s dental examination and provide treatment opt1ons. 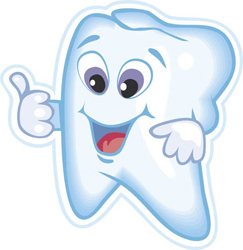 Please bring your child’s current dental insurance card and your val id ID to his/her appointments. Please make sure you prov1de updated addresses, email address and 2 reachable phone numbers. Cell phones are not to be used in hygiene or treatment areas. We love our cell phones and understand the importance that they serve in our daily life. However, if you must take a phone call we ask that you step outside. Please help us keep our reception area clean and neat. We ask that no outside food or drink be brought into the office.